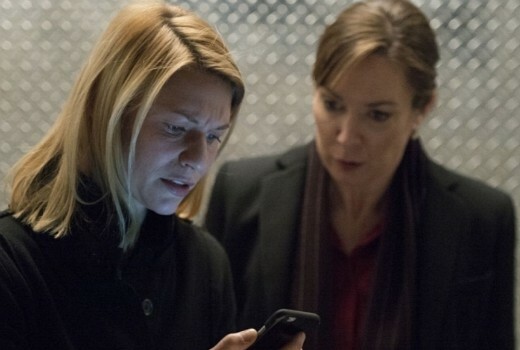 Homeland to end next season, says Claire Danes. US drama Homeland will end with its upcoming eighth season, according to star Claire Danes. Homeland was given a two-season renewal in 2016 ahead of the season six premiere but it has been widely expected the series would come to a conclusion following season eight. Showtime told Variety that the network has not made a decision beyond season eight. SBS is currently screening season seven in Australia. Oh well, it’s had a good run. I feel like this season has offered much more than the last few seasons. Believably topical. Some 82 episodes of Homeland have aired so if the aim was syndication then that has already been achieved. The adaption of the Israeli TV series Prisoners of War became a footnote after Brody’s execution, the opportunity to introduce fresh characters and political backdrops was passed to keep Claire Danes high profile character (Carrie) active within the CIA, which in the real world would never have happened. Homeland in some ways became a product of its own success and the commercial attitude of American showrunners who have a boardroom of interested investors to satisfy. Hatufim was a slow moving psychological drama about two prisoners of war struggling with what happened and trying to reintegrate back into society. Homeland was an action spy thriller about Saul, his bipolar analyst Carrie and black ops specialist Quin trying to kill Abu Nazir, then killing a lot of other other terrorists who threatened US interests. While Fox bought the rights to the Hatufim’s scripts they used only a small part of them for Brody’s return in S1, which was cover for his mission with Walker to assassinate the VP who ordered a missile strike on Abu Nazir that missed him but killed his family. Homeland probably has gone as far as it could. The whole premise was limited. great but limited.